Why do we have to learn radians, when we already have perfectly good degrees? Because degrees, technically speaking, are not actually numbers, and we can only do math with numbers. This is somewhat similar to the difference between decimals and percentages. Yes, “83%” has a clear meaning, but to do mathematical computations, you first must convert to the equivalent decimal form, 0.83. Something similar is going on here (which will make more sense as you progress further into calculus, etc). Therefore, I like to think of one circle turn as 2pi radians. That is, 2pi radians = 360 degrees. From this simple equation we can work out the size of any angle in radians or the how many degrees in a given number of radians. Another really useful explanation video can be found on YouTube here! 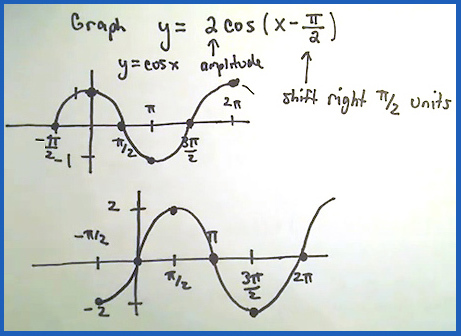 Graphing Trig Functions with Graphmatica – note the gap between sin and x (y=sin x). 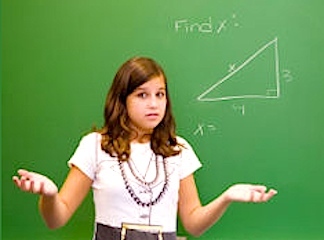 Note: it is best to goto: Options–>Graph Paper and select Trigonometric for your graphing with trig functions. Graphmatica works in radian measure. The Functions Project was handed out in class today and you will need to read through it carefully. There is also key information and resources to help you use Graphmatica for this assessment, including this one on YouTube. Please email any questions you have as you work through this project in class and at home. Gray: y=sin2x squishes the function by a factor of 2. So, the curve is being “cycled” twice as fast as y=sinx. This is shortening the period of the function. 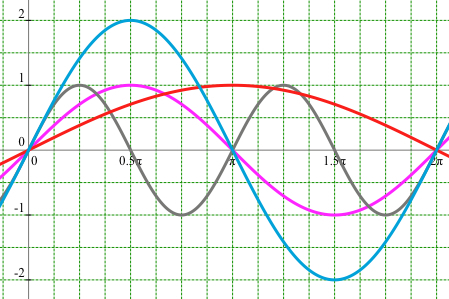 Note: you can always do a simple table of values to plot the above 4 sine functions. More info on this excellent website. Hi Drew. I got to this comment quite late tonight. We are reading the early notes in Chapter 5 on “rates of change” and including another example. Thanks and see you tomorrow. Just writing to tell you that we do not understand the homework given, and will not be able to see you tomorrow as we have previous commitments. thanks, sorry for any inconvenience.